Ghoulsville Series 2 Glow-in-the-Dark Alien Master Vac-tastic Plastic Vintage Ben Cooper Style Horror Decor! Just like the Halloween masks of years past! Nearly two feet tall and easily hangs on a wall or display in vintage-style window box. Limited quantity. Glows in the dark! 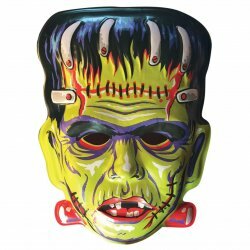 Ghoulsville Big Frankie Vac-tastic Plastic Vintage Ben Cooper Style Horror Decor! Just like the Halloween masks of years past! Nearly two feet tall and easily hangs on a wall or display in vintage-style window box. Limited quantity! Sold out elsewhere but available here! 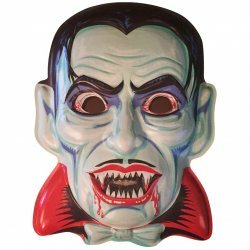 Ghoulsville Series 2 Blood of Dracula Vac-tastic Plastic Vintage Ben Cooper Style Horror Decor! Just like the Halloween masks of years past! Nearly two feet tall and easily hangs on a wall or display in vintage-style window box. Limited quantity. 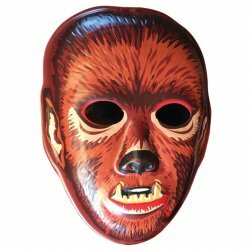 Ghoulsville Bloody Werewolf Vac-tastic Plastic Vintage Ben Cooper Style Horror Decor! Just like the Halloween masks of years past! Nearly two feet tall and easily hangs on a wall or display in vintage-style window box. Limited quantity sure to sell out fast! 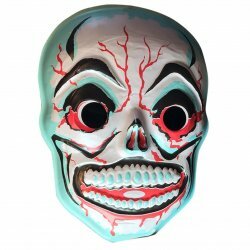 Ghoulsville Cold Death Skull Vac-tastic Plastic Vintage Ben Cooper Style Horror Decor! 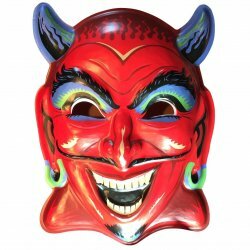 Just like the Halloween masks of years past! Nearly two feet tall and easily hangs on a wall or display in vintage-style window box. Limited quantity sure to sell out fast! 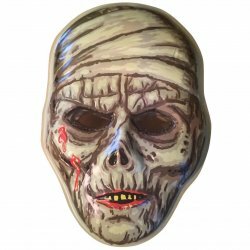 Ghoulsville Series 2 Crud Mummy Vac-tastic Plastic Vintage Ben Cooper Style Horror Decor! Just like the Halloween masks of years past! Nearly two feet tall and easily hangs on a wall or display in vintage-style window box. Limited quantity. 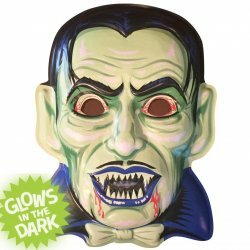 Ghoulsville Series 2 Glow-in-the-Dark Crypt Vampire Vac-tastic Plastic Vintage Ben Cooper Style Horror Decor! Just like the Halloween masks of years past! Nearly two feet tall and easily hangs on a wall or display in vintage-style window box. Limited quantity. Glows in the dark! 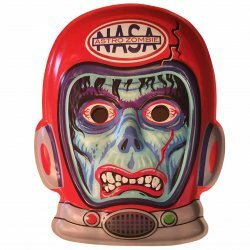 Ghoulsville Series 2 Deep Space Astro Zombie Vac-tastic Plastic Vintage Ben Cooper Style Horror Decor! Just like the Halloween masks of years past! Nearly two feet tall and easily hangs on a wall or display in vintage-style window box. Limited quantity. 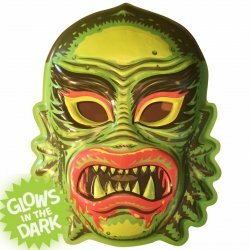 Ghoulsville Series 2 Glow-in-the-Dark Fish Face Vac-tastic Plastic Vintage Ben Cooper Style Horror Decor! Just like the Halloween masks of years past! Nearly two feet tall and easily hangs on a wall or display in vintage-style window box. Limited quantity. Glows in the dark! Ghoulsville Fun House Devil Vac-tastic Plastic Vintage Ben Cooper Style Horror Decor! Just like the Halloween masks of years past! Nearly two feet tall and easily hangs on a wall or display in vintage-style window box. Limited quantity sure to sell out fast! 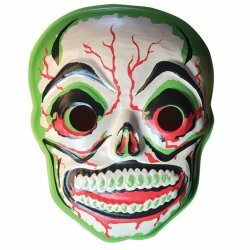 Ghoulsville Green Slime Skull Vac-tastic Plastic Vintage Ben Cooper Style Horror Decor! Just like the Halloween masks of years past! Nearly two feet tall and easily hangs on a wall or display in vintage-style window box. Limited quantity sure to sell out fast! 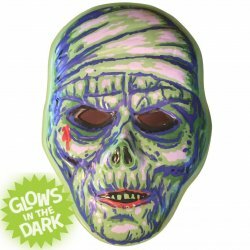 Ghoulsville Series 2 Glow-in-the-Dark Mummy Vac-tastic Plastic Vintage Ben Cooper Style Horror Decor! Just like the Halloween masks of years past! Nearly two feet tall and easily hangs on a wall or display in vintage-style window box. Limited quantity. Glows in the dark! 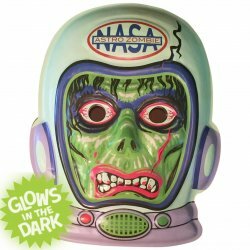 Ghoulsville Series 2 Glow-in-the-Dark Radio Active Astro Zombie Vac-tastic Plastic Vintage Ben Cooper Style Horror Decor! Just like the Halloween masks of years past! Nearly two feet tall and easily hangs on a wall or display in vintage-style window box. Limited quantity. Glows in the dark! 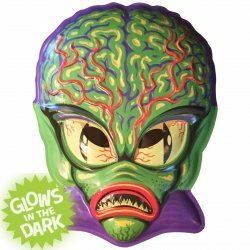 Ghoulsville Series 2 Glow-in-the-Dark Space Invader Vac-tastic Plastic Vintage Ben Cooper Style Horror Decor! Just like the Halloween masks of years past! Nearly two feet tall and easily hangs on a wall or display in vintage-style window box. Limited quantity. Glows in the dark! NEARLY SOLD OUT! 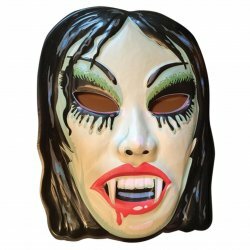 Ghoulsville Vampyra Girl Vac-tastic Plastic Vintage Ben Cooper Style Horror Decor! Just like the Halloween masks of years past! Nearly two feet tall and easily hangs on a wall or display in vintage-style window box. Limited quantity sure to sell out fast!